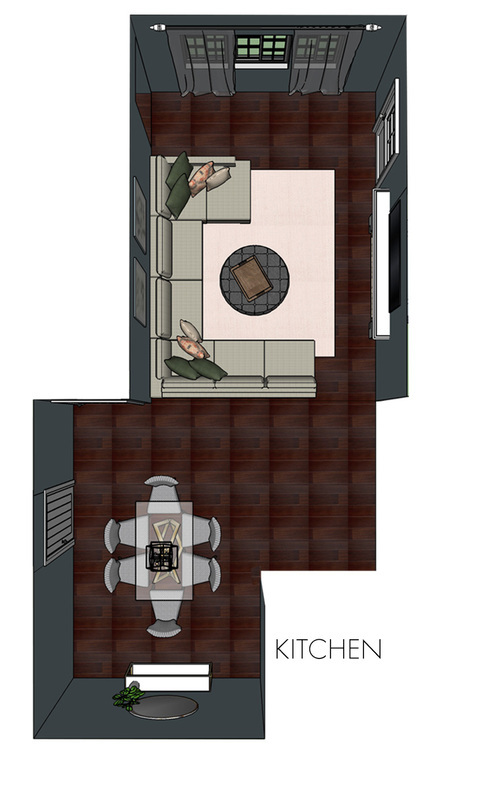 I need help with my living room and dining room-open floor plan. I live in a small condo (about 1200 sqft) total. 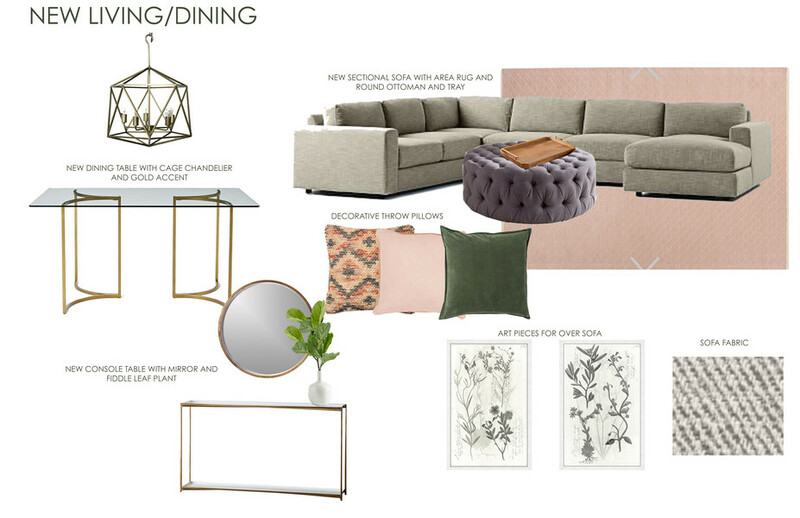 - would like seating for 6; open to a U-shaped sectional with a chaise lounge or an L-shaped sectional with accent chairs or other seating options. - Need new coffee and side tables. Open to keeping lamps or replacing. - Need new ceiling fan and light kit. - Would like to relocate TV above fireplace. - Would like to keep existing drapery. May need to replace window blinds eventually. 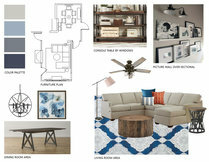 - Would like to see options for an area rug, but I do have a dog so may leave this out of the design. No painting; keep existing wall colors. Existing Wall Decor/Mirror- 40" sq. The paint stays as it is with the current RH Paint color. Quantity: 3 Print I Print III Print IV Discount link available to project holder only 40" x 26"
Quantity: 4 Discount link available to project holder only 18" x 18"
Forester Pillow Discount link available to project holder only 22"x22"
Quantity: 2 Discount link available to project holder only 50" x 96"
Deco Tray for top of ottoman Discount link available to project holder only 18" x 24"